Södra offers you an opportunity to take real responsibility, to use your initiative, and to shape your job and future career with us. If you are looking for an internship and work experience before you graduate, we can offer a wide range of choices. We prepare internships for students every year. ...while you were reading this, Södra already cut three logs. We offer internships across our entire operating structure for students from universities, upper secondary schools and post-secondary programmes, as well as students in workplace learning programmes (Swedish: Arbetsplatsförlagt lärande, APL), upper secondary vocational programmes and co-operative education programmes (Swedish: Lärande i arbete, LIA). Linnea Ottosson was an intern at Södra during spring 2016. Linnea Ottosson will soon be looking for a job. 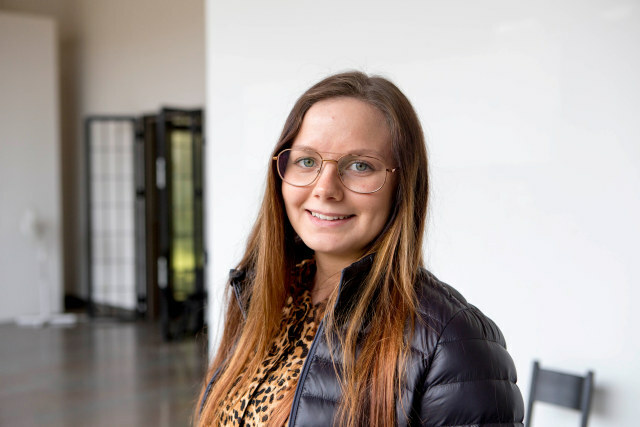 She is 22 years old, lives in Mönsterås and is currently studying the three-year Forestry and Wood Technology programme at Linnaeus University in Växjö via distant learning. During spring in 2016, she completed a five-week internship that alternated between Södra Skog at Mönsterås and a small forest management company at Eksjö. During her internship at Södra Skog, Linnea was able to follow a forest inspector, forestry manager and production manager in their professional roles. She also spent two days with Södra’s Chairman, Lena Ek. Linnea has always loved the forest and nature. Many of her family members and relatives are forest owners, and Linnea has a hunting license and a dog that she spends a lot of time training. Variety and flexibility are keywords for Linnea when she describes her future dream job. As part of the Tekniksprånget initiative, Södra offers four-month paid placements to young people who have completed upper secondary school to give a sense of what life as a graduate engineer is like. Tekniksprånget aims to inspire more young people to study and complete a higher-education engineering programme. Tekniksprånget is led by the Royal Academy of Engineering Science (IVA) on behalf of the Swedish government. Jobbsprånget is a four-month placement programme for migrant academics with qualifications in engineering, science or economy. Södra now offers placements through the programme, which is helping to reduce social exclusion and provide experience and an understanding of the Swedish labour market. The Jobbsprånget project is also led by IVA.